Prepare your favorite cake mix recipe or follow the directions as stated on the box, making sure to leave out 1/4 C of water (or milk). Replace that liquid with 1/4 C Cherry Vodka and set aside. Using a blender (or fork) crush the strawberries until they are in a liquid form, don't worry, chunks are fine. Add the crushed strawberries, zest of 1 whole lime, lime juice, and the cherry vodka to your cake batter. Stir until all of the ingredients are incorporated, remember not to over-mix. Bake your cupcakes at 350 degrees for 17 minutes. In a mixer using a whisk attachment, whip the butter for approximately two minutes or until creamy. Slowly add the powdered sugar. When the sugar is fully incorporated, whip for three minutes on med-high speed. Slice the strawberries and add to the frosting along with the lime zest and strawberry vodka. During the whipping process, the strawberries should reduce in size and turn the buttercream into pale pink color. And a small pinch of salt and whisk for four more minutes until light and fluffy. Oh snap you've got strawberry daiquiri buttercream. Once your cupcakes come out of the oven, allow them to rest for a couple of minutes before removing from the pan. Remove from the pan and leave them to cool for at least 30 minutes before frosting. 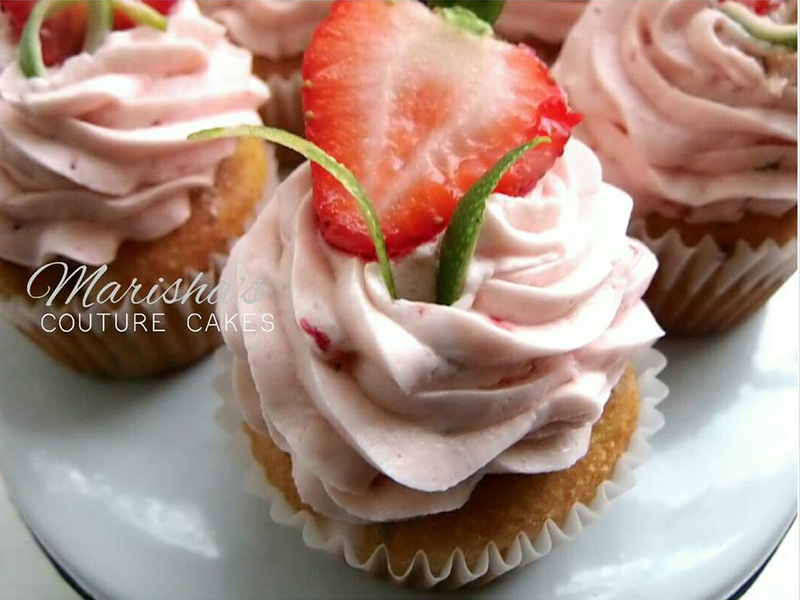 Using tip #822 (optional) frost your cupcakes and top with fresh lime zest and a slice of strawberry. 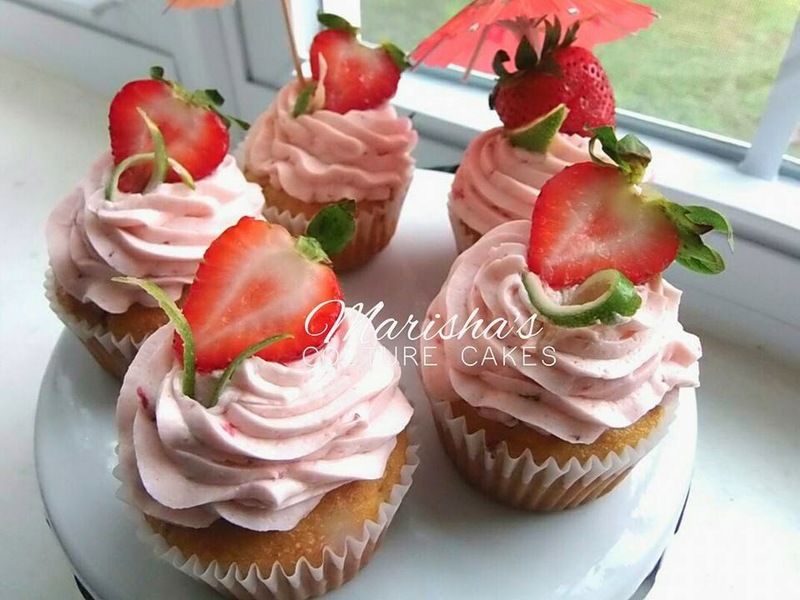 Sit in the shade and enjoy your delicious strawberry daiquiri cupcakes with a smile.